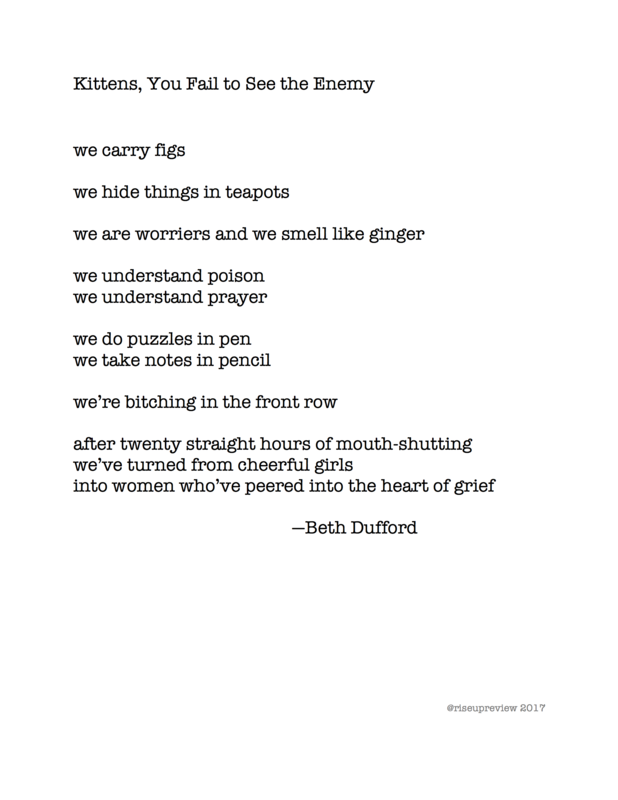 Beth Dufford lives in New York City. Her work has appeared in Barrow Street and The Little Magazine and has work forthcoming in Common Ground Review. Her chapbook, Microscopic Peaceful Implosions, Poems of Unease, will be published in November, 2017 by Eyewear Publishing.